This morning we attended a "mommy and me" breakfast at a local Jewish Community Center. I put the words "mommy and me" in quotes because the audience wasn't limited to mothers and children. 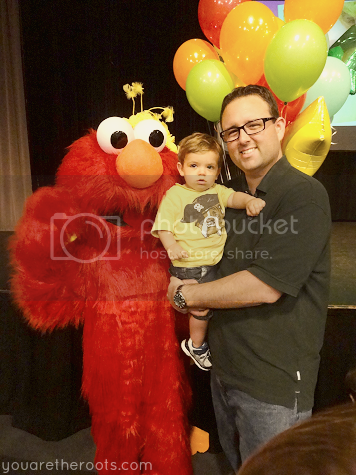 There were fathers, grandparents present too, including my husband who crept into work a little bit late to ensure he at least got a glimpse of Ethan's face when he met Elmo for the first time. 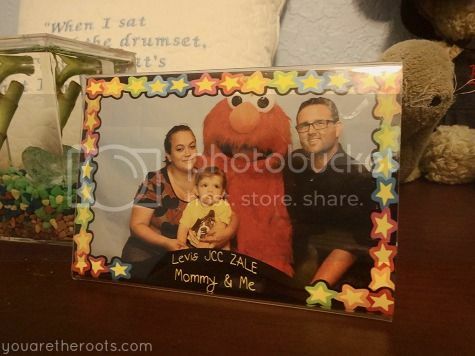 Ethan's love for Elmo is a funny thing. Ethan's never actually watched television -- well, up until the other morning when my mother sat him down in front of an episode of Little Einstein's -- but he knows Elmo from his favorite books and from the YouTube video clips we play for him when he does his breathing treatments. 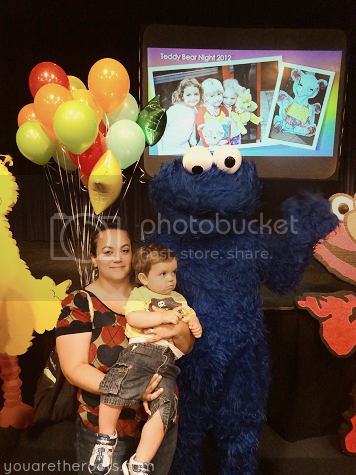 Somehow those few minutes of Elmo have been enough to completely captivate Ethan and I was curious to see if he'd be as charmed with Elmo in person. 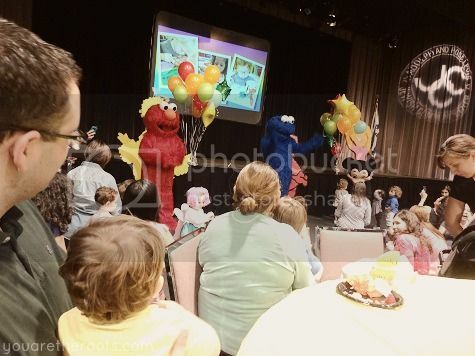 No, scratch that, I was pretty determined that Ethan would be utterly charmed with Elmo and anticipated steadfast excitement upon his first glimpse of the furry red monster who would be attending the breakfast along with Cookie Monster, Minnie Mouse and Mickey Mouse. I wouldn't say Ethan was excited, but he wasn't completely terrified. 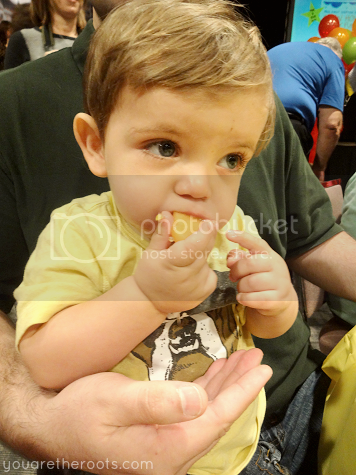 He was curious and he did touch Elmo's fur if we were holding him and he did excitedly point to him while we waited in line for photos. It was a start. He was however excited about the breakfast itself and the seemingly endless buffet of fresh fruit. 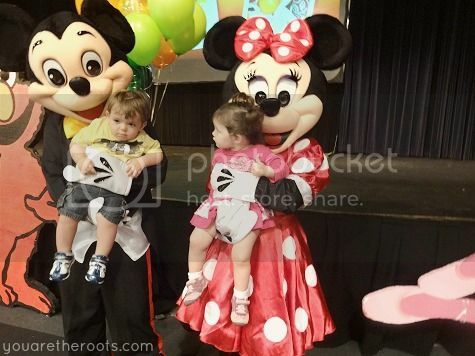 Amongst a sea of parents and children of all different ages all geared up to meet their favorite characters were many familiar faces. It was one of those events that either begs you to accept the fact that it truly is a small world or that you really have dabbled in every mommy and me class offered in the tri-county area in desperate search for suitable mom-friends who understand you and don't care that your child showed up to meet Elmo with banana smeared all over the front of his shirt. Scratch that, mom-friends who love your child anyway. Luckily we did that and even luckier, we got to enjoy the character breakfast with a couple of them. Does this picture not sum up total confusion? Oh, the things we do for our kids. Or the things we think we're doing for our kids. You pick. 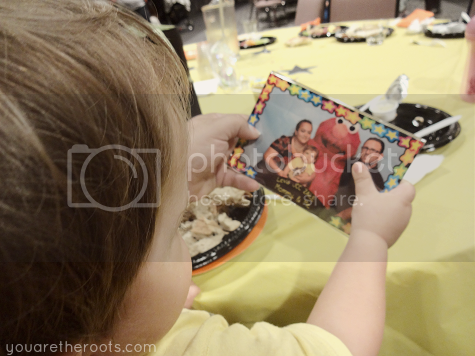 Ethan's favorite part of the event was undoubtedly his framed picture with Elmo. He carried it to the car. He carried it up the driveway home. He carried it into his room to show it to his frog, Cohen, and we decided it looked beautiful on his dresser. He pointed to it before he went to bed tonight, blowing the framed photograph a big kiss goodnight. Haha, yes! I hope you find one! I think they do this each year.